It was in the spring of 2010 when Chris and I landed in a Blackhawk helicopter at FOB Salerno, a large US base occupied primarily by 3rd Brigade, 101st Division (Air Assault). Salerno is located in east central Afghanistan, not far from the Pakistan border and its notorious tribal areas, dotted with villages and tribes that offer support and respite for Taliban and al Qaeda fighters. 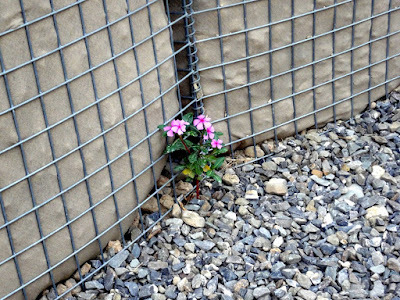 growing just outside of the B/151's TOC, Spring 2010. Because of the shortage of actual MP units in theater, a provision had been made to designate other specialized units as temporary MPs (designated in militarese as In Lieu Of or ILO) to pull the mission of training up Aghan Police. So our embed unit turned out to be an Infantry company, Bravo Company, 151st Infantry Regiment of the Indiana National Guard. Frankly, we weren’t sure what to expect. Yet the reality exceeded any negative anxiety we may have initially had. Bravo Company was located some distance from Salerno, out past Khost city and within view of the Hindu Kush Mountains. The infamous Khost-Gardez Pass – the only serious vehicular route between the two major cities – emptied right into B/151’s hilltop location. It sat on a long ridgeline the far end of which was occupied by an imposing 19th century British fort. In the middle was a stone structure that could have been a visitor’s center in a small US national park. When the Bravo troopers arrived, we were told, that building, a couple of ramshackle sheds and a few port-a-johns were the only structures on the place. Soldiers lived in tents and thrown-together shelters but that clearly was unsatisfactory to all concerned. Many units would have simply waited till higher headquarters sent some containerized housing. Not these guys. With materials “liberated” and sent their way by a savvy unit supply sergeant based at Salerno for liaison, the officers and men of Bravo Company built their own special base. Materials were basic: dimension lumber, PVC piping, electrical components, and stuff that you might find at a typical big-box home supply outfit. Because most Guard units are composed of a special group of soldiers – many long time friends and relatives, and skilled trades specialists – the knowledge and motivation were already there. When the soldiers returned from daily training missions and patrols – more often than not involving a firefight – their evening hours were spent in designing and building the most unique base we saw in either theater of war. National Guard in Khost, 2010. They built a spacious outdoor deck around the lone tree on the site, with adjacent rooms for officers and non-commissioned officers. 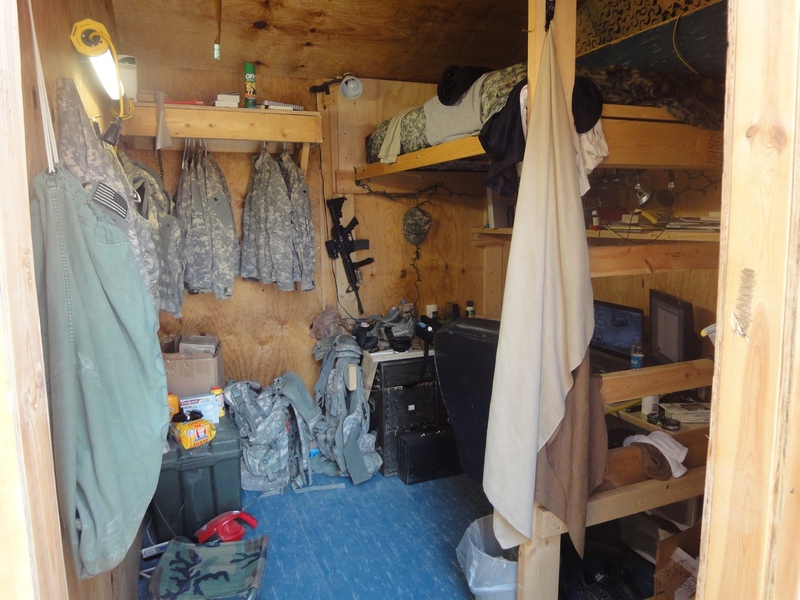 Each soldier was encouraged to design his own room – typically about an 8’x10’ space – and the crews followed the plans. Some of the rooms were incredibly imaginative, with a high bunk making room for a desk beneath, for example, and clever storage and equipment racks. Everything was wired for electricity and plumbing was installed in a comfortable shower and latrine building. Since – unlike almost all but a few Regular Army units – Bravo Company had its own cooks, they also constructed a nearby cookshack with adequate space for washing, prep, and cooking. It was a real pleasure to stay with these excellent soldiers. Morale was sky-high, they were actively engaged with the enemy, busy training their Afghan counterparts, and able to have a fairly secure place to rest. By the way, well-sited watchtowers were built first with cleared, interlocking fields of fire and constant guard. This wasn’t amateur hour by any means. themselves as well as their buddies. A few months later when we were between embeds, we were invited by Bravo Company to join them for a weekend in Indianapolis as they were given their post-deployment briefings. 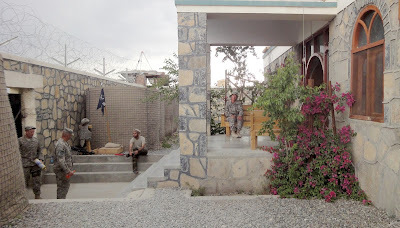 The soldiers knew we were returning to Afghanistan shortly and, to a man, each asked us to check on what they had built and see how their replacement unit were caring for it. They knew that they would never again return to the place where they had invested so much sweat, imagination, and effort to construct and in the backs of their minds they all knew that when, not if, it was ultimately turned over to the Afghans it would be looted and trashed. For many of them you could hear the nostalgia in their voices as they reminisced about the wonderful place they had the initiative to build, and the sadness of never seeing it again, knowing it was doomed. 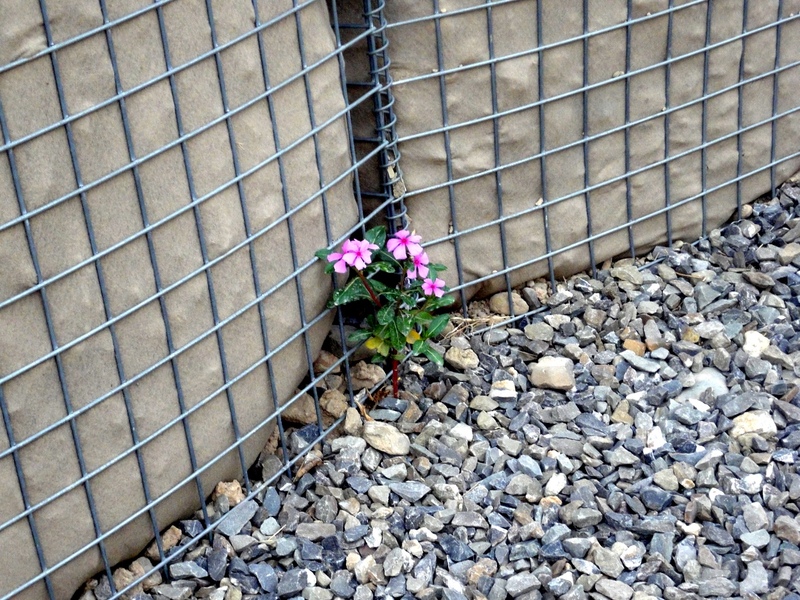 flowers in the gravel below the Hescos that protected them at night. what has since become the Valhalla Project. The entirety of this experience resonated deeply with us. Some soldiers miss being in a war zone, for many reasons, some of which are examined in Sebastian Junger’s recent book, Tribe: On Homecoming and Belonging. 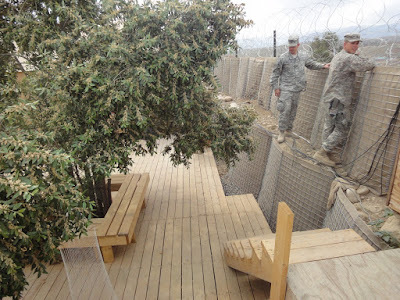 It became clear that at least some combat veterans would treasure a permanent place similar to what Bravo Company had built in Khost. 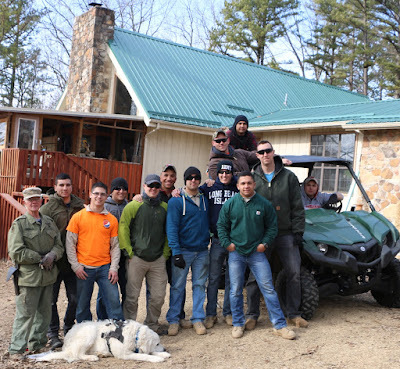 A special place that they could work on together, enjoy comradeship with their fellow veterans like they had downrange, build things that would last for the rest of their lives and beyond. One that they could always return to if and when they wanted to. “A friendly FOB on US soil, built by combat vets for combat vets.” We realized that acquiring a suitable property and beginning such an enormous undertaking would take years, yet Chris was almost rabidly determined to make it happen for deeply personal reasons of her own. 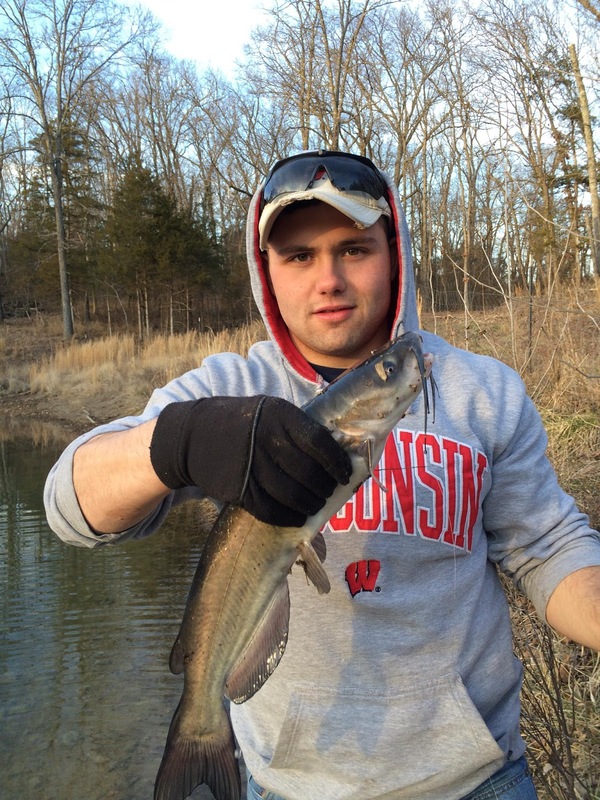 Exactly one year before our first embed when we met Bravo Company, Chris’s father had committed a bloody gunshot suicide, leaving his body for her to discover. Shocked and emotionally distraught, she reacted by reaching out to her father's family in Spain. She had met her many cousins only a few times before, yet after growing up as an only child and also being the only American on either side of her parents families, Chris desperately wanted to embrace the entire clan following the death of her father. We moved to Barcelona to be close to them. Unfortunately within months it became obvious that the family -- one and all very arrogant Catalonians in my personal opinion -- didn't want anything to do with an American cousin who they really didn't know, and especially not one who arrived with a retired American Army Lieutenant Colonel in tow. For reasons that had little to do with Chris and everything to do with their strong disapproval over her father's marriage to an "uneducated" Swedish farm girl many decades before, one by one they politely smiled, offered traditionally appropriate condolences, then turned their backs and quickly walked away. 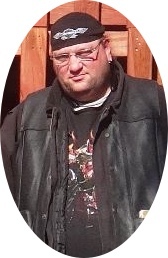 Chris had already survived severe childhood PTSD and now some of the old forgotten symptoms came back. Our time in Spain had turned into a nightmare in the wake of her father's horrifying death, an unexpected continuation of her very early years growing up in nearly total isolation. Her dream of ever finally connecting with a family of her own had ended in the most cruel way imaginable. "To hell with them, let's go downrange," I eventually told her. "You'll become part of something a lot bigger than anything that these judgemental pseudo-aristocrats have to offer anyone. Soldiers will have a lot more respect than that and we need to document what's happening over there. Let's go to war!" That cheered Chris up considerably. It was the opportunity to get out of her own trip by focusing on something completely different in a potentially deadly environment. And then one evening after meeting Bravo Company in Khost, Chris was walking alone to the DFAC at FOB Lightening in Gardez when a vivid memory hit her hard. She had been here before. A wonderful place just like this FOB, a somewhat safe place where the bad guys right outside were effectively locked out, a place out in the middle of nowhere, her first real home ever when she was just 15 years old. It was a boarding school where the students ran the entire facility, building cabins, cooking in the kitchens, chopping wood for the fires, growing vegetables, and working as carpenters, plumbers, janitors, electricians, and more. And here in Afghanistan soldiers also ran everything alongside various civilian contractors, all of whom were now far, far away from their own homes and families. For just a moment that night, as she told me shortly afterward, time and space somehow dissolved: she had had the very distinct sensation of walking in the dark to dinner at Stillman Hall at Midland School when she was 15, instead of to the DFAC on FOB Lightning when she was 46. That was the precise moment when the Valhalla Project was really born. Chris quickly determined that her modest inheritance would be entirely used to build a real legacy for combat vets who found themselves simply wanting to "go back to the FOB" once in a while (albeit without any concerns over getting blown to pieces in the process). She couldn't go back to the relative safety of her favorite boarding school even if she wanted to; likewise, the soldiers couldn't ever return to the relative safety of their FOBs or COPs downrange even if they wanted and needed to. Thus emerged the Valhalla Project as a “Heaven on Earth” counterpoint to the hell of combat that so many veterans have endured. Further, since Chris doesn't have family or offspring of her own, shortly thereafter she had attorneys draw up the necessary papers to ensure that the Valhalla Project will eventually be left to dedicated veterans who succeed both of us: this very special legacy that Chris created for those who want and need it will therefore continue indefinitely after we are both gone. When it came time to define precisely Valhalla’s mission and purpose a stark revelation came to us. As a concluding appendix to Warrior Police, we had listed all of the Military Police soldiers killed in action in Iraq and Afghanistan. Chris checked every name out via the internet and found, to her horror, that almost 10% had no obituary, no memorial service, and apparently no one who cared enough about their loss to mention them anywhere. Consequently we decided to focus our efforts on this group of veterans who may not have supportive families, who find themselves alone, rootless, and disconnected from civilian society. This includes even those who may have families but have had difficulty in transitioning back into a peaceful family environment. In large part these are the veterans largely ignored by the system. Those who have significant issues such as addictions, severe long term PTSD, TBI, and horrible wounds have programs and specialists focusing on them. Those veterans who return to an understanding, supportive family group are most often good to go. It is the amorphous number of veterans who fall in between these extremes who can most benefit from the Valhalla Project. So how does this relate to our story of Bravo Company? One of the things we have enjoyed doing here at Valhalla along with our veteran participants is building in the same manner as these soldiers did when they were on the edge of the war. Using dimension lumber we constructed a beautiful three-tiered deck that many would find reminiscent of what they saw on the COPs and FOBs. We use primarily milled-on-site lumber for out many outbuildings for livestock and poultry and eventually for our off-grid cabin construction. 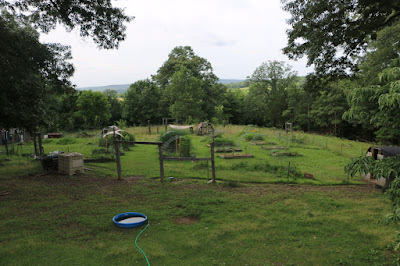 On this five-year anniversary it is with a sense of satisfaction that we see the Valhalla Project homestead rising from a long-neglected property to a productive, enjoyable, and meaningful entity. It also reminds us that these are only small steps toward a greater goal. A hundred-year Project involves a lot of activity, and we still have a long way to go. That’s why we need your committed help and support and the dedication and zeal of our Valhalla Participants! 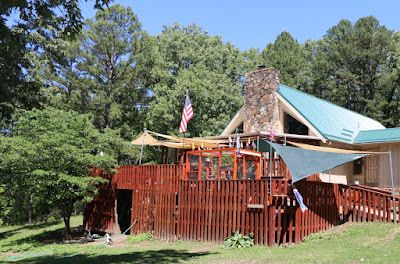 Valhalla's first Tree House -- save the lemons, please! trees. We'll need at least five more citrus trees in the coming months. Valhalla's very first Tree House is probably not what you'd expect. It is just one more "small" project in the much larger quest to provide top-quality, nutrient-dense gourmet foods for at least some of America's post-9/11 combat veterans. Grass fed beef and lamb, as well as wild hog and venison, and also free range poultry and their eggs are already harvested right here on the Valhalla Project property. Then there's our neighbor Paul, who provides raw fresh milk as well as very excellent pork from pigs that roam across his farm nibbling on wild herbs and grasses all day long. So why a tree house? 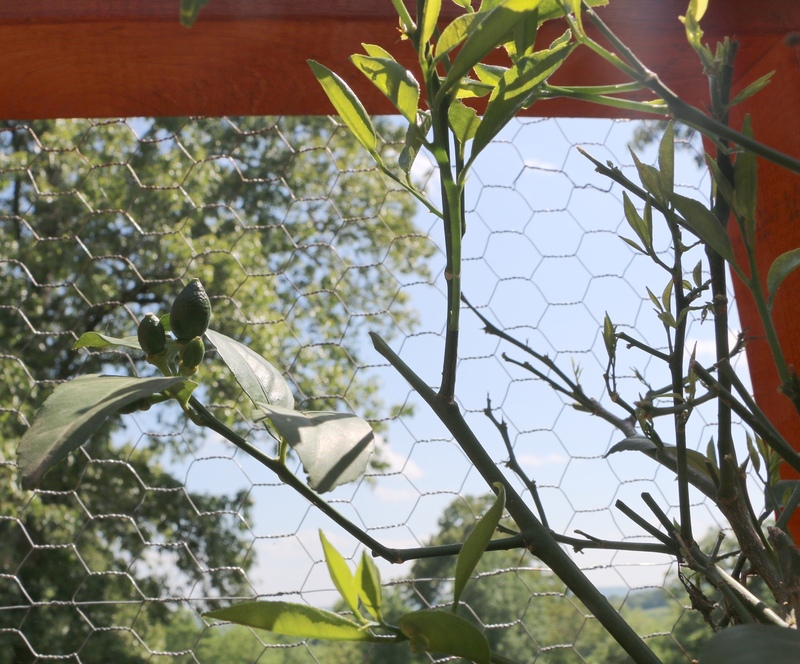 Because citrus trees are needed to provide lemons, oranges, and limes for countless recipes -- and they are very difficult to grow here in the Ozarks. A few of the lemons growing inside the Tree House. They must, at the very least, spend every winter inside the Valhalla Main House (or perhaps, for some others, in a heated greenhouse -- which is entirely beyond Valhalla's current annual budget at this point). In the spring we wheel them out on carts to the front decks. However, our own free ranging turkeys had the nerve to systematically pluck some of our small potted citrus trees literally to death after we brought them out into the spring sunshine. Protecting them with 48" high pet fences still didn't do much good, since Sadie and Loki (the Livestock Protection Dogs) crashed straight through them while playing and accidentally overturned the innocent little trees. So this year, to protect the citrus trees that are needed for the supper table, we went hard-core by building an 8'x4' house for the trees. It was made with chicken wire and ordinary 2x4 lumber stained to match the decks. Small flags on top help to prevent the turkeys from jumping up and roosting on the top; plant stands inside elevate the trees for maximum sunlight above the deck rails while providing storage space underneath. access to the plants inside. Of course every house needs a garage, so building a Plant Garage on the second deck seemed like a good idea. Flats of seedlings and plants waiting for transplant into the main gardens are protected from the dogs and poultry, and it's easy to toss a shade cloth over the top on particularly hot days. Speaking of seedlings, a potting station was definitely needed so we set one up just outside the Tree House. The potting station just outside the Tree House. It has a peg board organizer and strip of hooks for hanging various necessities. Instead of installing regular plumbing we keep a bucket under the utility tub, and then reuse the gray water for watering plants. The potting benches match the plant stands inside the Tree House, which led to yet another idea: create a small breakfast bar within the remaining space on the lower deck, with nesting tables to match the potting benches. on the second deck next to the Plant Garage. 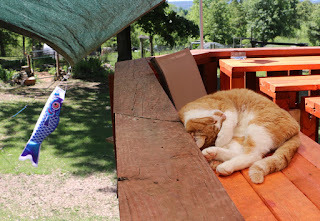 The deck isn't particularly level so it was necessary to bolt the tables to the deck railing and to each other. However, the bolts are easily popped out so that the tables can be reconfigured and locked together into a small dining table. It's a nice little space for a few Valhallans to enjoy, yet a much larger outdoor dining room to seat up to a dozen people is obviously needed. There's plenty of room for exactly that on the second deck, and perhaps it will be done sometime this summer. Shade sails help to keep the decks cool in the summer. new breakfast bar under gently flapping shade sails. There are two basic categories of military personnel who participate in the Valhalla Project's many different programs. First there are the veterans who have left the service and are transitioning into their new civilian lives. They can stay at Valhalla for up to three months while deciding where to live, what kind of jobs they would like to find, and otherwise adjust to life after military service. The second category of participants are active duty service men and women who want to learn about homesteading while pitching in with projects to support their veteran brothers and sisters. An example: a dozen Second Lieutenants from Fort Leonard Wood had a very wonderful time here at the Valhalla Project in January -- and finally managed to wear out little pup Loki in the process! They designed and built an extension on the DeToy Sheep Chalet, helped give each of the goats a much-needed manicure, stacked firewood like mad in preparation for the coming storms, ate a lot, then ate some more, straightened an enormous gate post and pinned it into place with an oversized plank, played with the dogs, went hiking, caught the first really big fish out of Valhalla's Kephart Pond, laughed, ate, swept and cleaned, told countless stories and lies in front of the fireplace, had a huge no-hangover party while making their own breakfast from scratch, built an amazing permanent Legacy flower bed with a rock border, zoomed around in the Viking, and completely wore the dogs out. Good times had by one and all! Take Action for the Valhalla Project’s New Roof! Want to express tangible thanks to combat veterans for their service? You can do just that by assisting the Valhalla Project in repaying the cost of the brand new insulated metal roof. was an understandably messy phase of the project. The roof of the Valhalla Project's Main House, which can house up to eight veteran participants at a time, began failing this summer in the most dramatic way. The original shingles -- installed more than 30 years ago! -- had degraded to the point of crumbling. 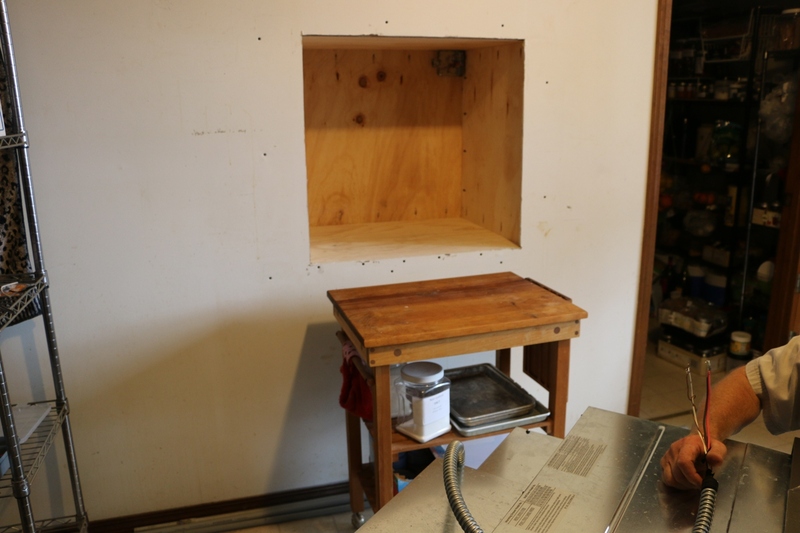 The plywood underneath became soaked in some places and began to rot. Valhallans froze in the winter and baked inside during the summer due to the complete lack of any insulation whatsoever on the towering alpine rooftop above the living room and sleeping loft. the living room and sleeping loft. Worst of all, Valhalla simply did not have adequate funds to pay for a new roof this year. But with winter fast encroaching, we were pressed for time so we had to float a quick $18,000 loan to make sure that the roof was up before the storms hit. We literally had no other choice. 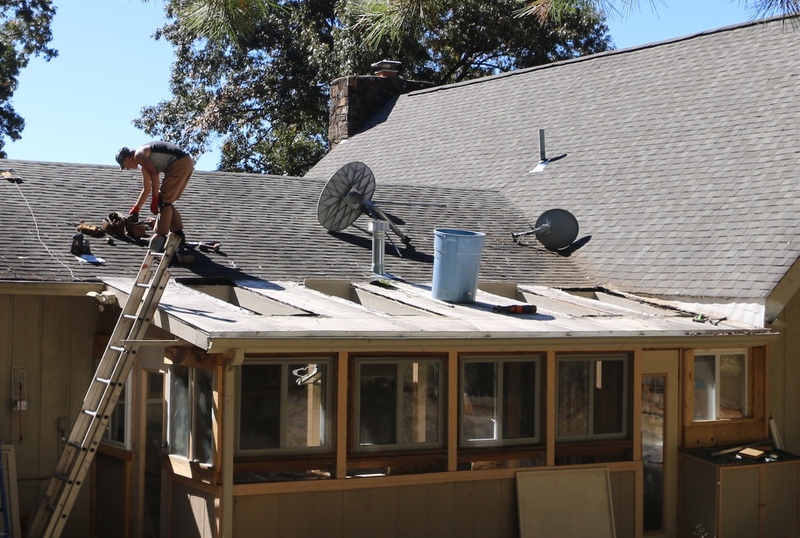 After nearly three weeks of hard labor by roofing professionals armed with a mountain of replacement plywood (OSB), sheet insulation, lumber, and endless stacks of metal panels, the new roof was completed last week... just in time for Veteran's Day. And now we must raise the funds to repay the emergency loan before the end of the year. The first metal roofing panel being installed over the insulation. Unlike many fundraisers that say contributions will go to some future project, the 5,630 square foot Valhalla Main House roof is now a tangible reality. The final bill for materials, hardware, heavy equipment rental costs, and labor came to exactly $17,337.14. We watched every penny very carefully, and collected all receipts as the project progressed. Not a nickel was wasted during the course of this huge undertaking. access to the various roof extensions around the house. Ice dams and commercial-grade gutters should be purchased and professionally installed before the first snow flies, yet paying off the existing loan for the completed roof remains Valhalla's #1 top priority. Those of you who contribute to paying off the roof will have the satisfaction of knowing that the work is already done, no money was wasted on non-essentials or hidden luxuries, and that the veterans who stay at the Valhalla Project property will be comfortable and dry for generations to come. and therefore didn't need exterior insulation, thus saving a lot of money. job was done correctly yet without any unnecessary extras. 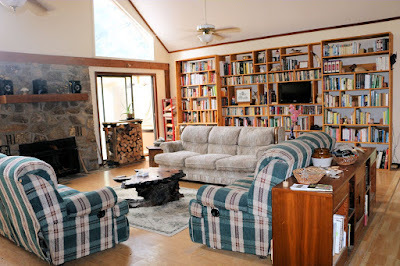 The ultimate proof of success came to us on Sunday morning, when the outside thermometer recorded the season's freeze at precisely 32F -- yet the living room remained at 63F even though we had left the central heating system off all night! Note that last winter Valhalla's electric bills averaged at over $400 per month despite keeping the thermostat set to only 50F and wearing parkas inside. Those days are over now because of this successful roofing project, and Valhalla's utility bills will be much lower. So here to have the opportunity to help veterans directly and know full well that any and all contributions will go immediately into a Pay Off the Roof fund designed to improve quality of life for all veteran participants at Valhalla! Thank you for your assistance and supports – without it we will be unable to continue our work. Press the Donate button to make a difference today! Nobody, including cadre or board members, draws a paycheck here, nor will they ever. We all simply give everything we have to make Valhalla possible. 100% of your donation via Paypal will go directly to program expenses and providing a very special reintegration homestead for combat veterans, period. It's been a very busy summer at the Valhalla Project, with our days filled with gardening, tending the animals, and working on countless "Homesteading 101" projects. Time available for blogging and posting up pictures is very limited -- since every minute in front of a computer screen means a minute lost for far more exciting and productive endeavours. Project's most prized emergency backup assets. Valhalla Project participants sometimes choose to work on special projects that they dream up themselves. While help and assistance is always available, some individuals simply love the sheer peace and tranquility that goes with taking on solo challenges. For example, one particularly camera-shy combat veteran saw that Valhalla's backup generator would be more useful if it was stored next to the main electrical box instead of in the car port. He spent a few days building a simple yet very practical weatherproof house for it using mostly salvaged materials. with an ax. Sure, Special Forces guys can be a little "different"
him certainly were impressed and thankful. Great job, Loren. Likewise, former Special Forces Sergeant First Class Loren from Colorado spent the better part of two weeks digging like a crazed gopher down at Valhalla's Hospital Row after he saw the drainage problems that occasionally flooded parts of the poultry housing units there. Of course many other Valhalla Project participants prefer to learn about homesteading in groups, and along these lines this summer we've had the pleasure of hosting some of the Second Lieutenants from Fort Leonard Wood. These young officers are currently in a very intensive Military Police training program and only beginning their new careers, yet still wanted to come learn more about the issues facing veterans who are retiring back into the civilian world. Some day they too will be veterans, and there is also great value of building their awareness of Valhalla's programs so they can pass the word to other Soldiers over the course of their careers. Second Lieutenant Dominique guiding the sheep home. you need them to go. 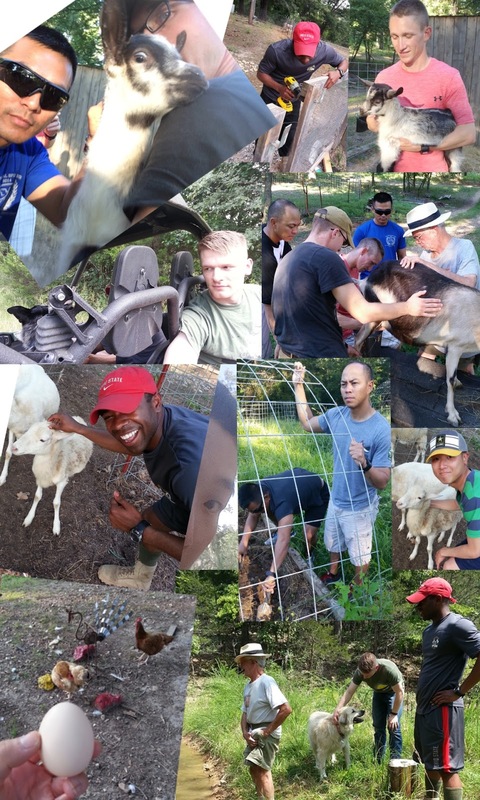 Two separate groups of new Lieutenants were completely immersed in hands-on homesteading essentials ranging from milking Roxanne the goat, harvesting potatoes and a bumper-crop of hot peppers, finding and collecting eggs, repairing gates and animal housing units (plus sometimes using power tools for the first time ever), herding sheep, and what it means to get seriously attacked by ticks and chiggers. 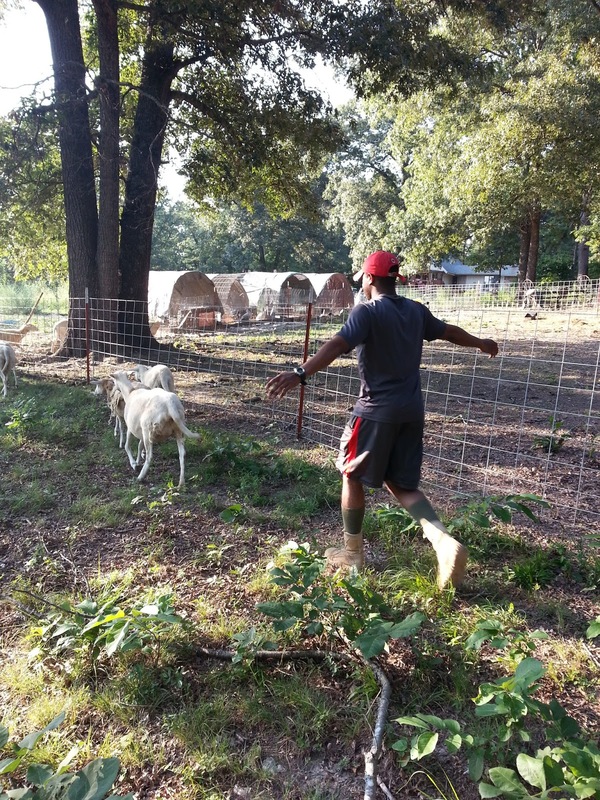 The Valhalla Project's budding "Nutrition Through Culinary Arts" program also continued to evolve this summer after we ran out of venison and wild hog a couple of months ago. Wild meats from animals that eat dozens of varieties of herbs, weeds, roots, and wild plants instead of commercially produced grain provide superior nutrition -- yet supplies here on the property are naturally limited, therefore we had to turn to other sources (at least until next hunting season coming this October). 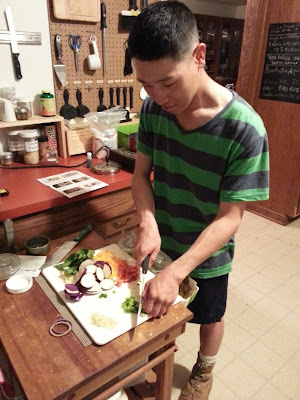 Second Lieutenant Jeff performing "Mise en Place"
with corn, shishito peppers, and Thai basil. 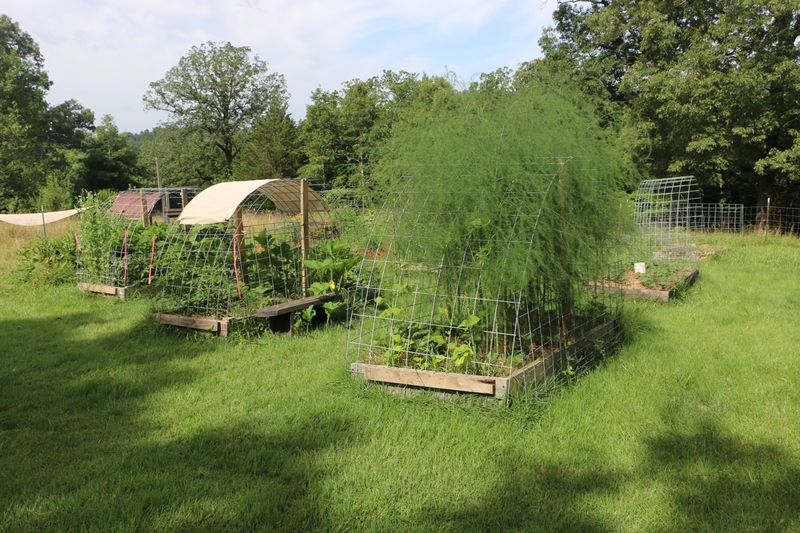 The gardens provide plenty of vegetables and herbs while the chickens, turkeys, and ducks keep cranking out omega-3 rich eggs. We could have slaughtered some of Valhalla's own poultry and older lambs but instead opted to take advantage of the wonderful bacon, beef, pork chops, and other top-quality meats from the Twin Lakes Meat Packing Company in Gassville (about 25 minutes away). We've also started subscribing to Blue Apron, a service that sends a big box of quality ingredients along with cooking instructions each week. This allows Valhalla to access many ingredients that simply are not available in the Ozarks, for a very reasonable price. Note that all Valhallans not only learn at least some of basics about the critically important roles of essential amino acids, magnesium and calcium, Vitamin K2, healthful cholesterols and fats, plus naturally occurring probiotics for the daily diet but also how to prepare gourmet-quality meals from scratch that embrace all of the above. Book of Poker Variations/Rules/Regulations somewhere). 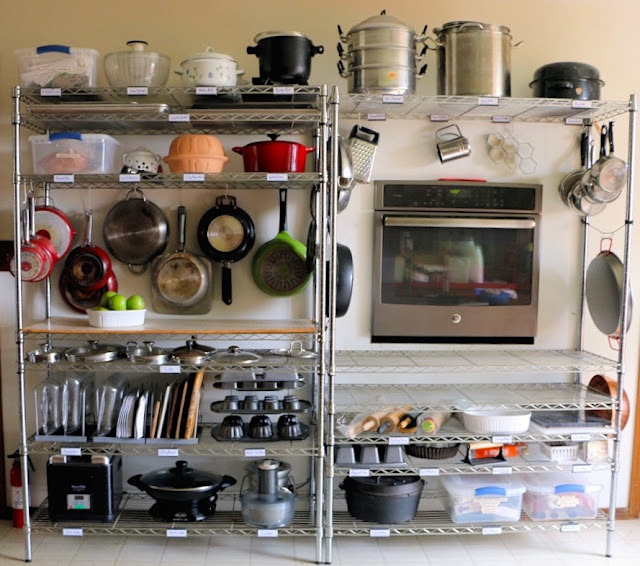 Along these same lines, Valhalla's living room floor-to-ceiling bookshelves were finally completed in July -- and it was then discovered that the cooking and nutrition books alone took up a full half of all the shelving! It has taken four years to research and purchase a significant library that can answer just about any food craving. As an example of such a special library, ask yourself: are you craving chocolate right now? The confectionary books provide hundreds of recipes for homemade candies, fudge, bon-bons, and much more -- while at the same time the nutrition books go on to explain that chocolate cravings are often caused by magnesium deficiencies. Valhalla's approach to teaching about both the equally relevant chocolate craving *plus* nutrition lessons at the same time is perhaps unique. Valhalla's kitchen only two days before. First, when a chocolate craving is duly announced by a suffering participant, all interested Valhallans will then spend some time making chocolate candy from scratch with pure, traditional, unprocessed ingredients (high fructose corn syrup and other bulk filler ingredients are never allowed here at Valhalla). Afterwards, while everyone who participated is still licking their fingers in sheer ecstasy, comes the more serious discussion of why magnesium deficiencies cause chocolate cravings, why eating even the most delicious pure chocolate goodies will never make those cravings go away, what magnesium really is and what it does for a healthy body, and finally how to incorporate more magnesium into delicious main meals so only a tiny chocolate treat will be "...needed..." the next time. In short (and continuing on with the magnesium-oriented example), it's far better to first fill up on a rich and satisfying dinner of Valhalla's chili made with grass-fed beef stewed in wild venison broth and sprouted magnesium-rich black beans that are spiked with raw cocoa, pure raw molasses, various herbs plus tomatoes and hot peppers harvested from the garden, in addition to organic spices (of course including cumin, coriander and fennel seeds) over rice. Veterans and other Valhalla participants who *still* have room for their already-satisfied cravings are still welcome to indulge in desserts -- summer usually brings plenty of peach crisps with crunchy almond toppings or from-scratch apple pies -- and only after that, eat all the homemade chocolate treats that you want. That said, it's been our repeated experience here on the Valhalla Project property that cravings for sweets (or, GASP! Junk food!!) is almost always resolved by simply enjoying pure, satisfying, rich traditional foods that are jam-packed with not just nutrition but also the tastes that we all instinctively crave. we let her stay with them in the heavily fortified Turkey Chalet. 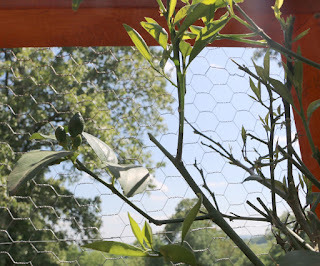 Another neat story from this summer came from Melonie, one of the turkey hens, who managed to hatch nine poults right in the middle of the vegetable gardens. 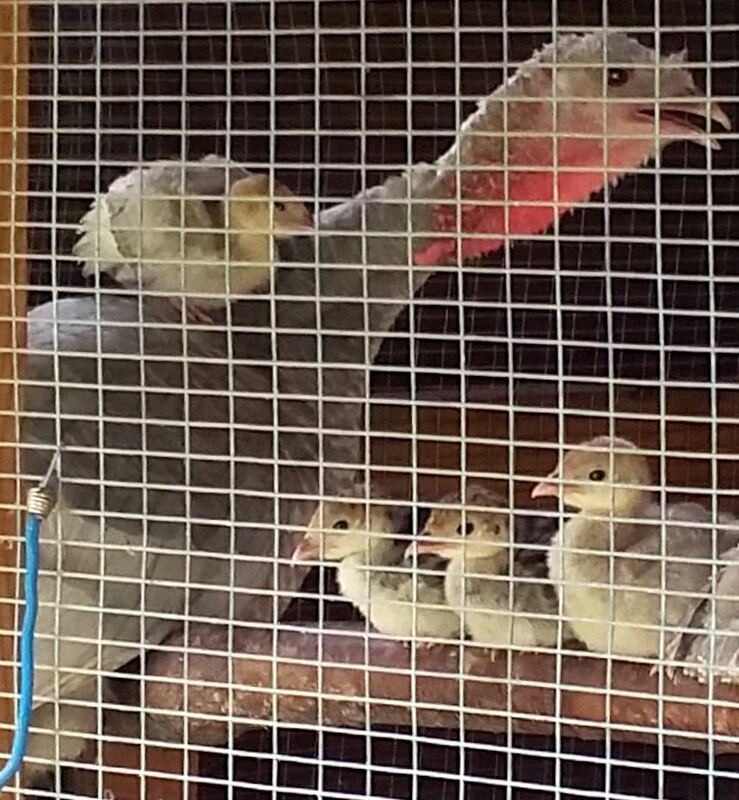 She was so obsessively attached to them that we didn't have the heart to take them to the safety of the living room brooder. Sure enough, three tiny poults eventually lost their lives despite every attempt to keep them safe. 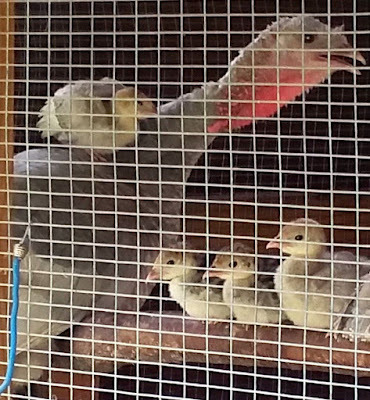 However, we did get to observe a semi-wild free-ranging turkey raise her young with minimal human intervention. It turns out that poults spend a great deal of time riding on their mother's back and shoulders. Then one day we noticed Melonie bleeding from a terrible wound on her side. Perhaps a weasel managed to sneak past the dogs and somehow wiggle into the Chalet. The six remaining poults didn't have a scratch on them so it was clear that Melonie purposely took the hit while protecting them. We treated the 5" gash under her wing several times a day for about a week (it continued bleeding on and off for the first two days) and the wound finally closed without any infections. It was a close call, and today she is currently escorting her now teenie-bopper offspring around the edge of the forest as I write this. A happy ending! 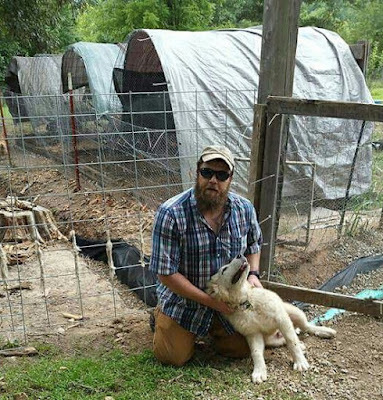 Please remember that as a relatively small nonprofit organization, there are simply a very limited number of hours available for describing what typically goes on at the Valhalla Project's 200 acre homesteading retreat for transitioning veterans. Why is that? Because every day our operations require all available hands on deck to focus on the animals and tasks right in front of them. Put down those smart phones, quit taking pictures, and actively live 100% in the real world (rather than on Facebook or in cyberspace) for at least a while has become a key part of the Valhalla Project's core programs. The mark of a small yet very busy nonprofit often translates into a limited number of blog entries, website updates, and other internet-visible signs of life... due to the fact that there aren't any paid public relations professionals, social media coordinators, or advertising experts on staff. Obviously this puts smaller outfits like the Valhalla Project at a severe disadvantage with fundraising and outreach efforts. On the other hand, where would you like your dollars to go? Into actual activities and programs for the benefit of America's veterans, or to administrative/publicity/fundraising/staffing costs? We strongly believe that every penny of your donations should go directly to supporting the programs here, so we need your help to spread the word about Valhalla. If you know a post-9/11 combat veteran who's having a tough time adjusting after leaving the military, please tell him (or her) about our programs. 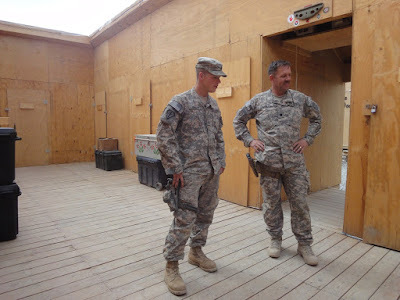 We offer qualified veterans and war zone civilian workers beautiful wild spaces, peer support, and the opportunity to actively participate in the creation of a truly unique facility while they at the same time regroup and prepare for their new lives as civilians. 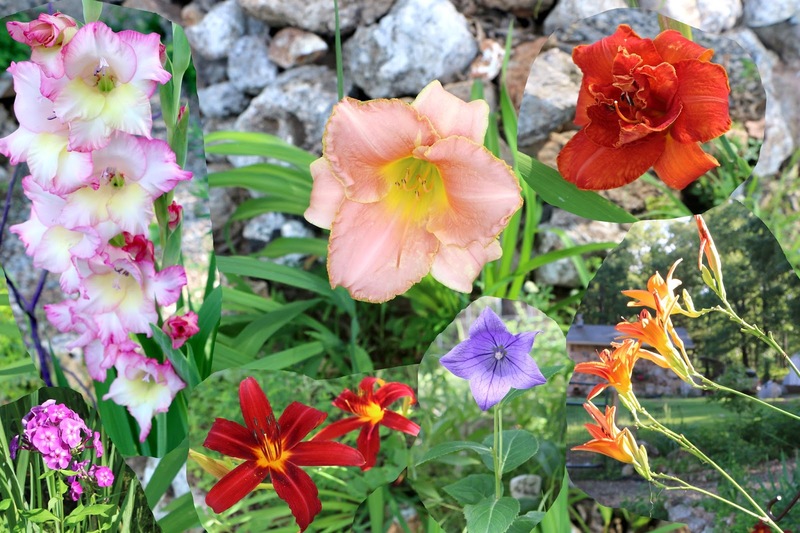 Some of this year's flowers inside Valhalla's Welcome Island garden. The Valhalla Project needs your help and support!!! Valhalla's tiny 1970s-era wall oven finally stopped working last March and everyone therefore had to live without any baking for a period of many months (no cakes or cookies, no muffins or casseroles, with a lot of sad faces). It was a terrible oven anyway, and entirely too small for serving larger groups of veterans. Yet replacing that outdated appliance wasn't a simple matter at all. A new oven big enough to serve our needs would require ripping out a large hole through an unwired wall, building a recessed cabinet, installing the necessary electrical connections, and then reorganizing the entire kitchen around a more practical storage system. 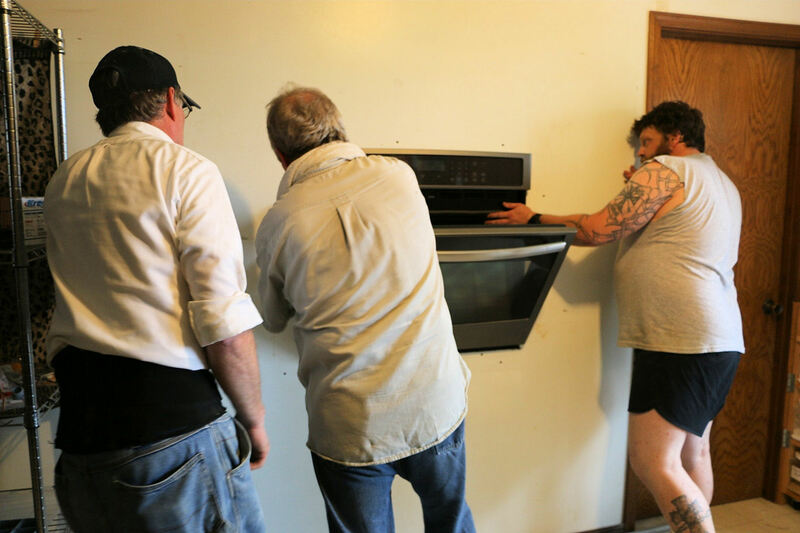 The sad fact was Valhalla Project's 2015 budget did not include money for purchasing and installing a suitable large-capacity replacement oven. closet on the other side. that had the bunkhouse closet on the other side. The oven cabinet extended into the closet, although several Valhallans agreed that they'd rather have cookies than storage space anyway. installing Valhalla's brand new 30" GE Profile Self-Cleaning with Steam Plus Convection Oven, and became the first person to use it. 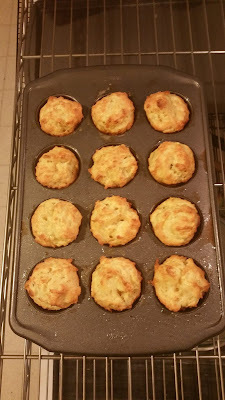 He learned to bake Swiss Cheese Buns (aka Julia Child's classic French Gougères) from scratch. His English Yorkshire pudding was also very tasty. 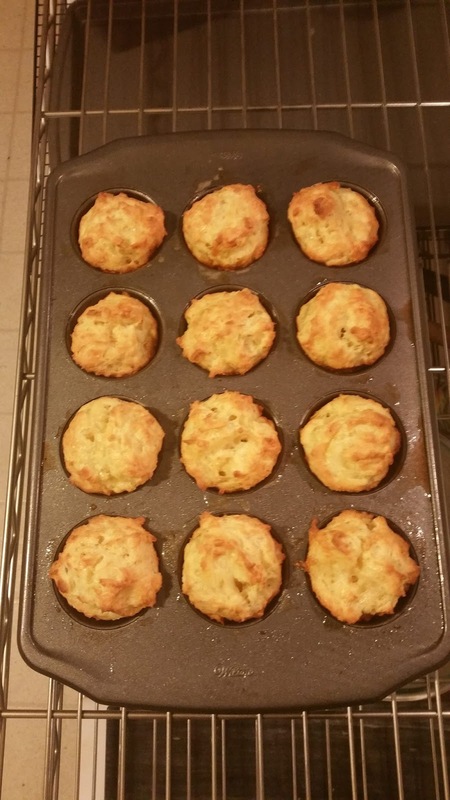 Recall that every Valhalla participant is required to learn new cooking skills while they are here, and although some are already accomplished cooks or grillmasters, most are intimidated by... baking! Three month old Loki arrives! 3 month old Loki, a Great Pyreneese / Akbash puppy, has joined Valkyrie and Sadie as a future guardian of the Valhalla Project's 200 acre homesteading retreat for post-9/11 combat veterans. Very special thanks to Lindy and Lee Benitz for bringing Loki to Valhalla!